I bought this H&M jacket on my travels in Dublin. 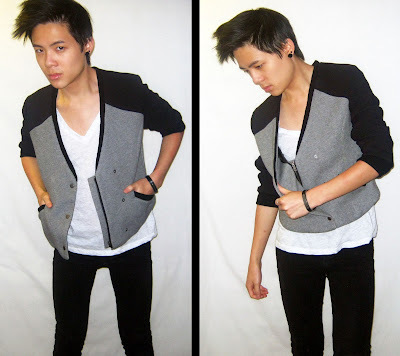 It's a cropped varsity style jacket, pairing it with standard skinnies and a white v neck t-shirt. Just a fun casual day wear look, not really for Ireland at the moment as the weather has taken a turn for the worst with severe storm warnings and wild winds. Ah well. Love love love this jacket.